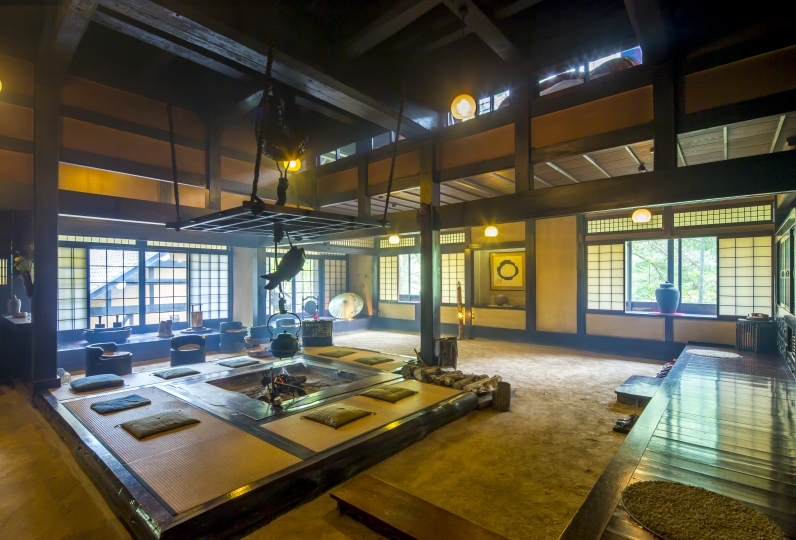 Gero has over thousand-year of history and is known as an excellent hot spring area. Located in the mountains of the Hida region, it is praised as one of the top 3 hot springs in Japan along with Kusatsu and Arima. 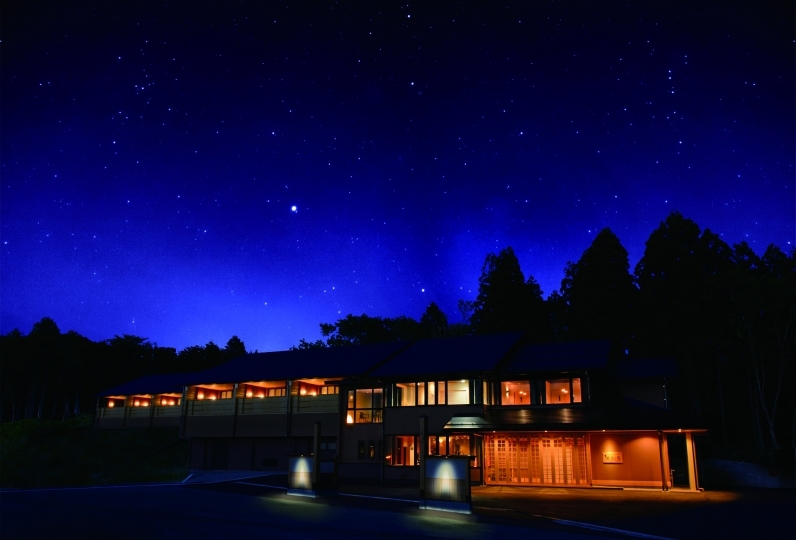 SHOUGETSU, located in the historical Gero hot spring town, is the only “Hotel in the sky(tenkuu)” enabling guests to look down at the changing scenery of the area. Sunlight, breeze, rain, mist, snow: You will be able to experience the whole world anew. Enjoy the best quality spa time available in silky water that will have you coming back for more. Heal your body and mind slowly while feeling the clear air from the mountains of Gero fill your heart. After soaking in the spa, go outside and enjoy the fantastic atmosphere of our restaurant‘Suikiin-tei’ where you can enjoy local Hida produce such as Hida beef in a colorful Japanese banquet. Enjoy seasonal flavors with that special someone through dishes by our chef whilst sipping on your favorite sake. Feel the ebb of time and free yourself from the constraints of language. Enjoy the time of your life at the “Hotel in the sky)” where it seems almost as though you could touch the moon if you extended your hand far enough. It’s a very nice place and I love it very much! The staff there are really helpful and very polite. I think I’ll be st... Read more It’s a very nice place and I love it very much! The staff there are really helpful and very polite. I think I’ll be staying there in the future. It’s a very nice place and I love it very much! The staff there are really helpful and very polite. I think I’ll be staying there in the future. I stayed for 2 nights in the room on the 8th floor, but I was impressed to see wonderful romantic views at night and day. There was nothing wrong with the catch phrase "playing in the sky". However, it is strange to look down from the spectacular scenery and scenic spots such as the sea and mountains, but because it is an ordinary cityscape even though it is a famous place called Gero. I stayed in such a room for the first time. It is worth a look. Also, there were many things that I felt at the hotel, but the most memorable thing for us is a young male employee who was accompanied by a meal (in the evening, Kaiseki). I still heard that it is the second year, but you had a very kind hospitality. I think that is the personality of the person, but I thought that the education on the hotel side is solid. There were a lot of young employees in the whole, and it was clean hotel. (Of course, all the elderly people felt good too.) Thank you very much. Thank you very much for your help. I had a stomach operation in September last year, and my father who had thin foods was delicious and delicious, and I ate as much as I was worried about, went into a hot spring, read a book in my room, and spent such a relaxed time It is not a long time. Not only the food, the hot spring, the wonderful view from the room, but also the staff's careful consideration and the postcard from the female general who arrived immediately after returning home, the whole family is thrilled. Thank you very much for having a great time, including the time I would like to go and the memories of my trip. 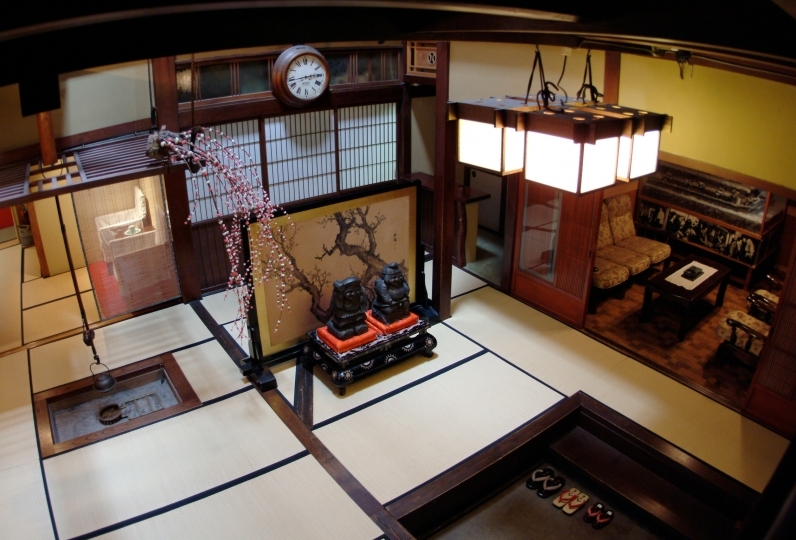 “Taketori monogatari”, a large spa, has an inside and outdoor spa. 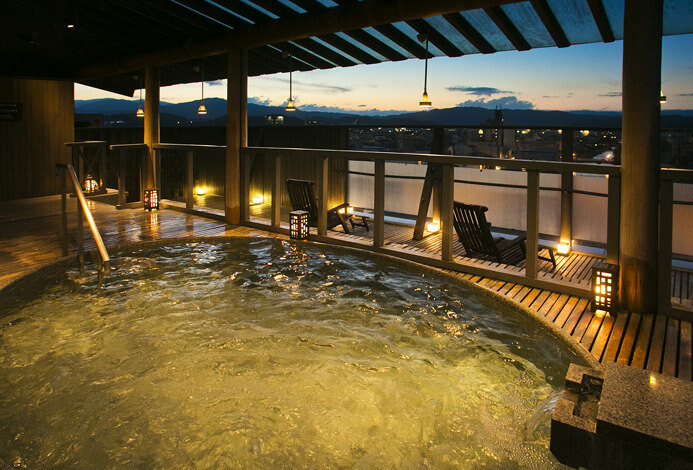 You can enjoy the great view of the Onsen town and Masuda river. 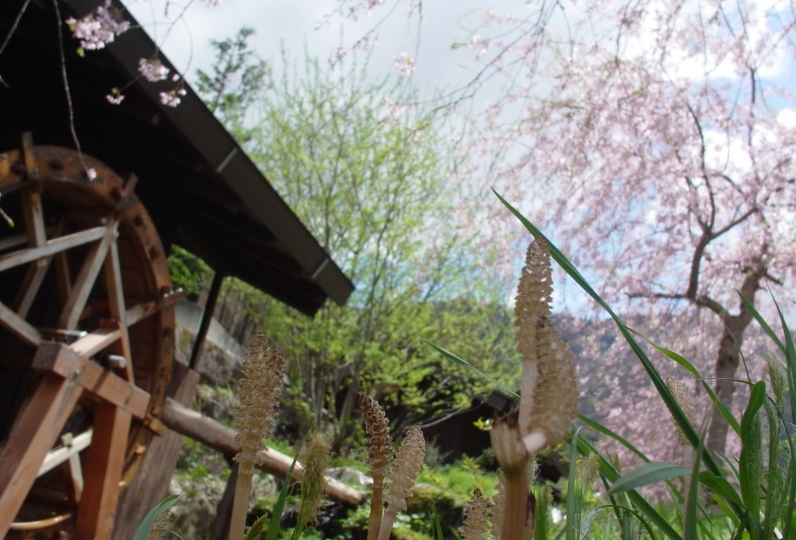 We have two outdoor spas which are in the villa along the mountain stream: Kouyou and Wakaba. Enjoy clear air and the sound of the mountain stream. Spend luxurious spa time in the serenity of nature. Combining ancient wisdom of Japanese beauty and essential oils, you can experience Japanese relaxation that matches your mood. ・The fee does not included the hot spring tax (150yen). ・The final start of dinner is 19:00, please please arrive no later than 18:00. ※We can pick you up at Gero station upon arrival via the 14:00 JR express. If you would like to use the shuttle service, please notify us of your arrival time in advance. 2148-1 Nishi-ueda Hagiwara-cho, Gero city, Gifu Pref.